Despite Christmas being just around the corner, there is still time to plan a get-away this year with Hucksters! Plus, with multiple benefits, you may be looking for the reasons why you shouldn’t go away during the holidays. 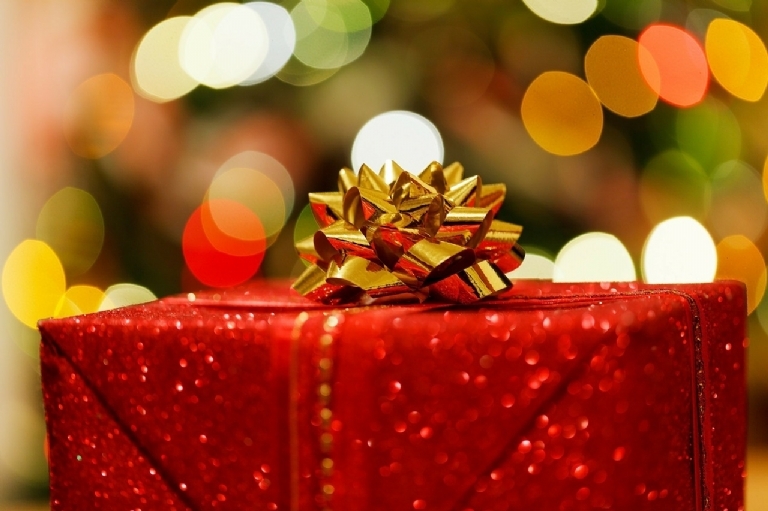 Read on to find out the benefits of a Christmas holiday! While Christmas typically brings you fond memories when you’re at home, and traditions that are compelling to stick with, a unique experience, discovering and learning new things, such as skiing, is a great way to create a truly memorable Christmas. With everything behind the scenes taken care of, no one has to miss out, making memories for the whole family to enjoy and savour. Christmas doesn’t make itself, and while Santa is a great help, a lot of work needs to be put in during the holidays to make it just right. Decorating the house, organising and buying presents, cooking dinner and so on; by removing all these tasks and responsibilities, you can spend Christmas doing what’s most important – spending quality time with the whole family. So kick back, relax, and let us do the work for you, you’ve earnt it! Christmas dinner is one of the best parts of the festivities, but it’s potentially one the most stressful too. Whether you’re cooking for a small family, or undertaking the task of hosting Christmas for your relatives as well, it’s bound to be accompanied by some pressure. 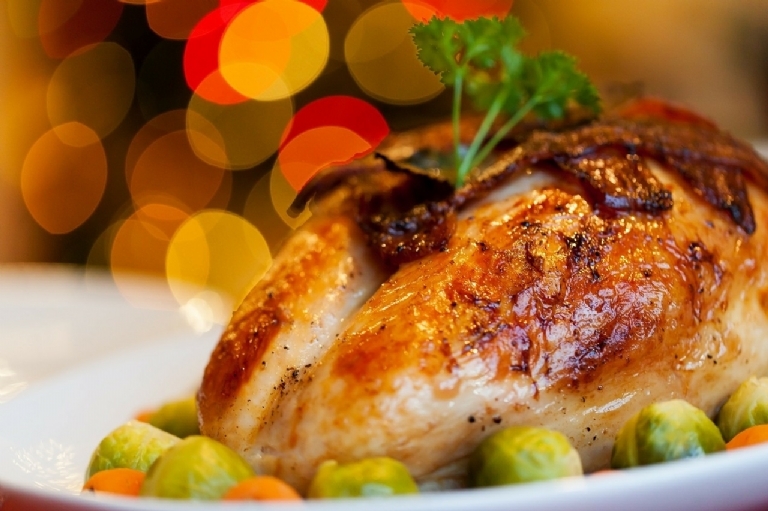 This is another aspect that makes a Christmas get-away more appealing, with Christmas dinner taken care of for you. At Hucksters lodge, we provide a delightful festive feast for all our guests, catering for every dietary requirement and serving a variety of choices to suit your tastes. When you calculate all the costs of a regular Christmas spent at home, you could find that going away is actually cheaper. A trip away is a gift that you can give to the whole family, meaning you save money by avoiding purchasing individual presents. As well as this, you don’t have to worry about the cost of Christmas dinner, which can get relatively pricey, especially when you have the whole family to cater for! Also, if you’re away for Christmas, why is there a need for a tree at home? Not only this, you’ll be saving money on electricity, which is usually more over the festive period due to all the decorative lights inside and potentially outside the house! 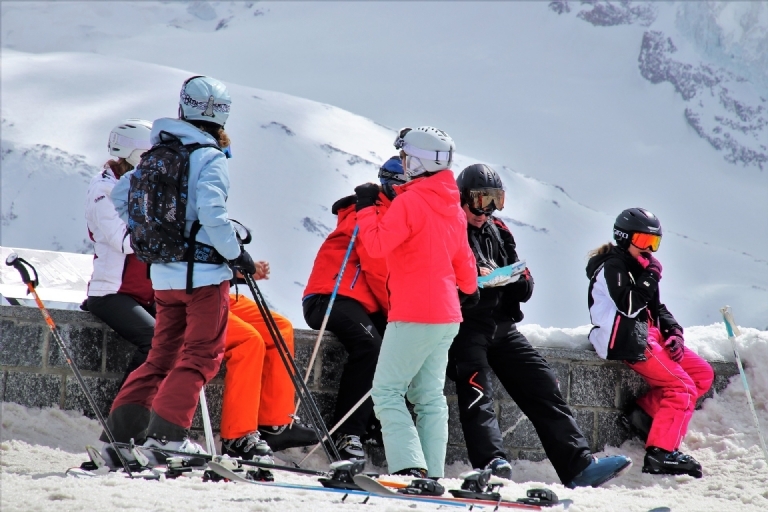 You can save even more money with Hucksters Lodge, with a great selection of budget ski holidays Christmas for you to choose from. Have you been dreaming of a white Christmas? A Christmas spent at a Hucksters Lodge means you can check this off your bucket list! And the snow isn’t just there to look pretty; it’s there to be conquered. Whether you’re skiing or snowboarding, you can embrace a white Christmas like never before! Should the weather fail, Serre Chevalier and Vallandry are experts using snow cannons. Many factors make a get-away during Christmas tempting. Whether you’re planning a trip for two or the whole family, let us take care of Christmas for you. Plus, to make your time with us even easier, we’re offering free transfers on Christmas bookings! Terms and conditions apply. If you're still not convinced, take a look at six reasons why you should experience skiing at Christmas. 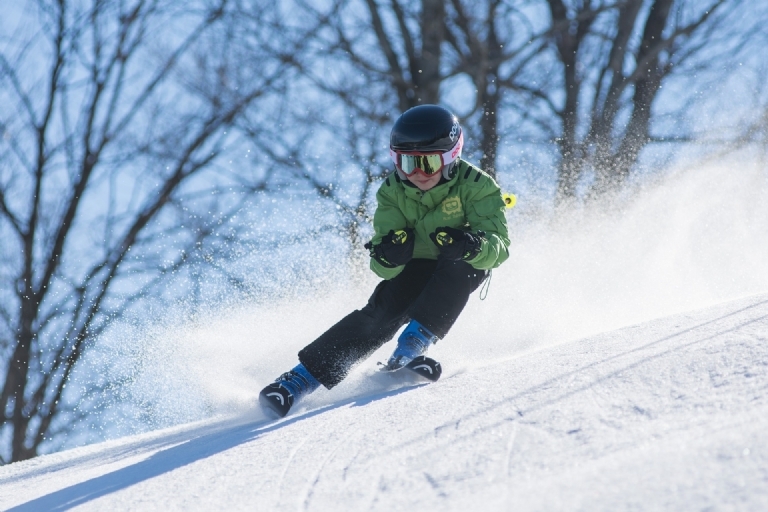 And if you are convinced, you might want to check out our top tips for your family ski holiday.